Our Soldotna neighbor, Kenai River Brewing Co (KRBC), generously brewed a beer supporting KHLT – donating a portion of the sales to our important conservation organization. The Double Spruce Tip IPA is currently available on tap at KRBC and Alice’s Champagne Palace. The spruce tips were harvested from Land Trust properties and our Stewardship Director, Joel Cooper was excited to help with the brewing! As part of this great opportunity, KHLT held a Battle of the Beer Label contest. There was a tie for first place and six-packs will be available for purchase by the beginning of 2019 which will include three cans of each design. Congratulations to Cheryl Newell of Sterling and Tammy Tyler of Seward for their winning entries! 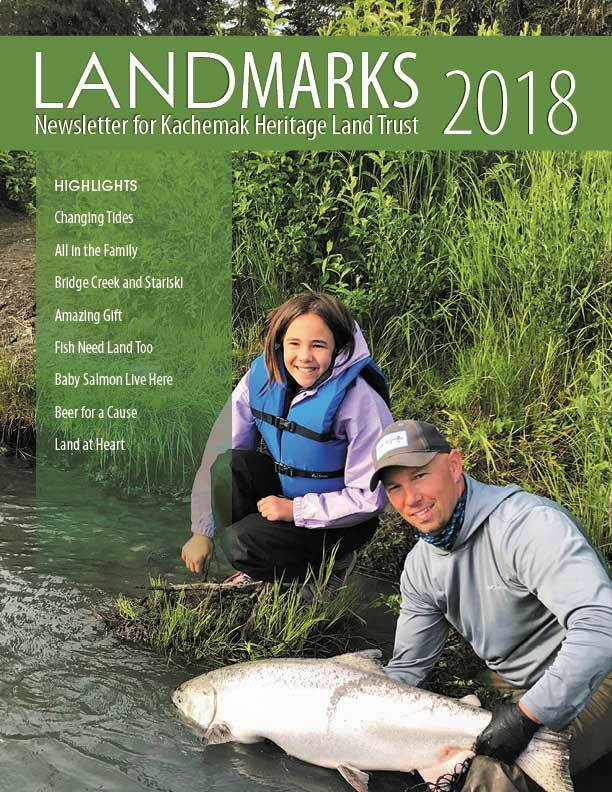 Monies raised will help fund KHLT’s annual stewardship responsibilities; stewarding irreplaceable lands under our care from the head of Kachemak Bay to the Kenai River. Thank you KRBC! 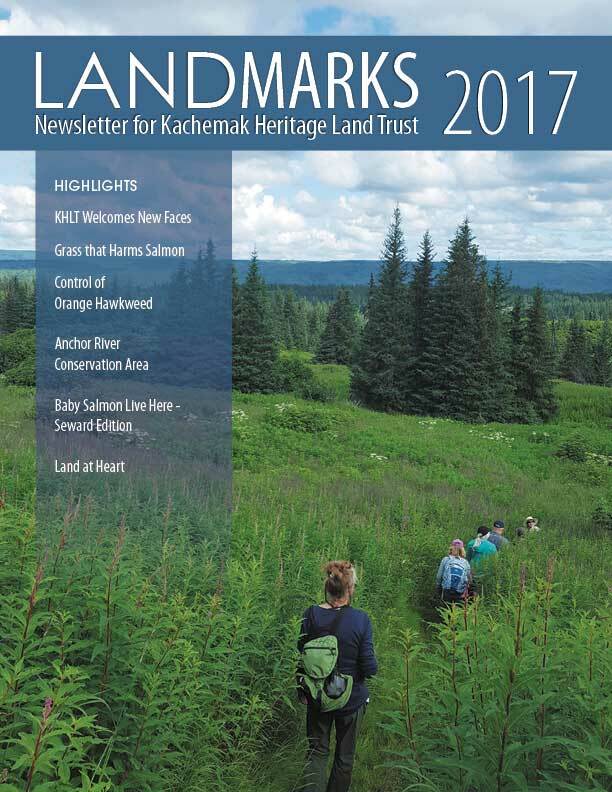 Stay informed on KHLT’s important work by subscribing to Landmarks. This beautiful magazine-style publication is mailed once a year around Thanksgiving. Missed an edition? Let us know! On occasion, an eNews is sent to friends of the land trust with project updates, news of upcoming events, fundraising needs, volunteer and job opportunities, and more. Sign up today!